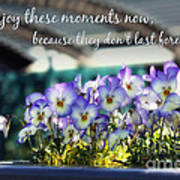 There are no comments for Purple Pansies And Life Quote. Click here to post the first comment. 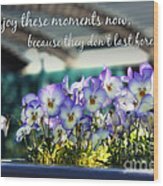 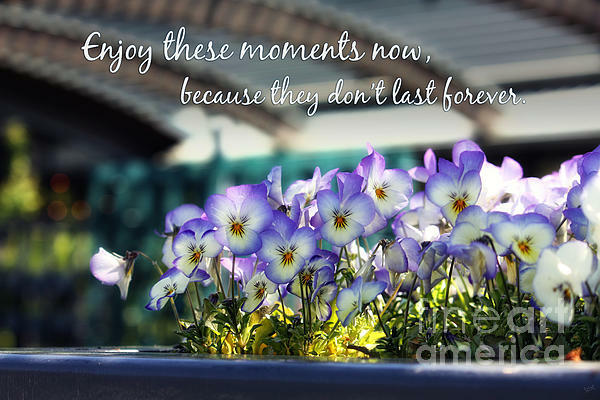 Beautiful purple and white pansy flowers in the garden accompanied by a quote that says"Enjoy these Moments Now becasue they don't Last Forever".